Wonder No More! Here Is Aries’S True Agenda Revealed!  Aries natives are charged with enthusiasm and passion; what drives them in life very often is their desire to stay independent. They live to be thrilled, to lead the way for others, to set – and achieve – lofty goals at all costs. But their ambitions do not harden their souls; Arians are one of the most kind-hearted and generous signs. Aries’s drive and determination cannot let them live a regular life; they need to do something more important, to reach higher and higher out until they can brush the stars with their fingers. Arians not only are born leaders – they have a strong and undying need to show their leadership qualities, to be of use for others, to dream big and achieve a lot. They also want their grand achievements to be recognized and duly appreciated. Learn how to use Aries lunar resources!